Back in the ‘60s, Seymour Duncan was a young guitar player who was trying to get a certain tone, but despite playing different guitars and different amplifiers he was unable to achieve it. That is until one fateful day when he lent his guitar to a friend who got the the string caught under the pickup and tore the wire. Seymour fatefully decided to try to repair the damaged pickup, using an old record player and a whole lotta patience to rewind the pickup back to life. With this repair he had a revelation: the tone that he had been searching for was in the pickups! The materials, winding pattern, magnets, wire and number of turns all worked together to produce something that could greatly change the tone of a guitar. After spending years working in London and winding pickups for the likes of Jeff Beck, Jimi Hendrix and others, Seymour came to Santa Barbara, California and meet Cathy Carter Duncan who fuelled the vision to create a place any musician could come to. 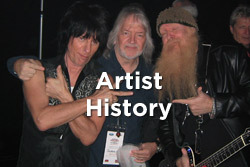 Seymour Duncan was founded in 1976 in Santa Barbara, California with a shoe-string budget but a deep love for tone. That was 37 years ago, and our commitment to what we do has not changed. 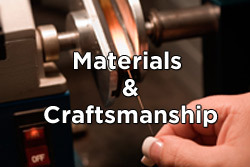 At the Seymour Duncan Custom Shop everything is made by hand with our machine shop custom-fabricated parts and each pickup is made just the way it was done in the old days. 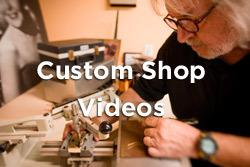 When you order a Custom Shop pickup you are getting something truly one of a kind built for your instrument. 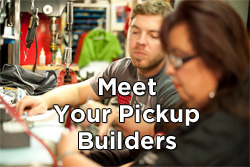 Over the years we’ve built everything from old PAF replicas to the world's largest 158 pound pickup. If you can dream a tone in your head, we can create a pickup that will bring it to life.